Build the perfect site for your business, personal brand, event, or portfolio. It’s fun and simple. 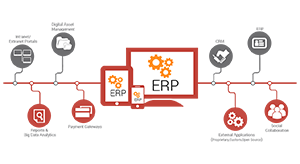 ERP integration is the process of integrating separate, stove-pipe ERP (Enterprise Resource Planning) systems with each other or with other enterprise information resources, to meet various B2B demands.